Service: Memorial service will begin at 3:00 p.m. Sunday, October 29, 2017 at Canton Lutheran Church, Canton, SD. Travis Albert Carlson, age 39, passed away Thursday, October 19, 2017 in Ekalaka, Montana. Memorial service will begin at 3:00 p.m. Sunday, October 29, 2017 at Canton Lutheran Church, Canton, SD. Travis was born on May 24, 1978 in Sioux Falls, SD to Terry & Vicki (Dobbe) Carlson. He grew up in the Canton area, graduating from Canton High School in 1996. He attended and played football at Worthington Community College. He then enjoyed farming with his family, neighbors, and friends before starting Carlson Custom Fencing in 2013. He married Luciana Lanni on July 21, 2017 at Canyon Lake Park, Rapid City, SD. He was passionate about his fencing business and loved cowboying with Paislee and Ty. He was hardworking and willing to lend a hand to anyone in need. 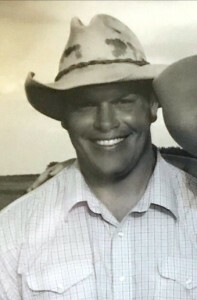 In his spare time, Travis enjoyed spending time with family, especially his children, fishing, family vacations out west, snowmobiling, riding rangers, and anything outdoors. He will always be remembered for his big smile and laugh. He is survived by his children Paislee, Ty, & Tavin; his wife, Luciana; step-sons, Marco and Cael; parents, Terry and Vicki Carlson, Canton, SD; sister, Melissa (Shawn) Ford and their children, Tilly & Cal, Park Ridge, IL; along with numerous aunts, uncles, and friends. He was preceded in death by his grandparents, Tilman & Vera Carlson and Marion & Helen Dobbe, and twin brother, Eric. Luci and Marco, Our heart goes out to you in Sympathy and love for the loss of your husband and step daddy….Our thoughts are with you all! Dear Vicki and family, I am so sorry for your loss. I can’t imagine the pain of losing children. Thoughts and prayers are with your family. So sorry. Prayers coming your way. We were unable to make it to the service today, but please know that our entire family sends condolences to your family! Our hearts have been heavy since hearing of their passing. We send our prayers of healing and strength to you all! Our Pastor shared that the most powerful thing a person can do for someone is pray for them. Whatever the circumstance may be, offer prayers. We see from all the posts, friends and family are doing exactly that. Neil and I offer our prayers for God to wrap his arms around you and carry you through this tragic time. May wonderful memories wash over to help you through each day. We hope you feel the prayers of people who love you and are keeping you very close to their heart. We are so so sorry for the loss of your sons. May God be with and your family and give you strength and peace. We hope all your wonderful memories help your family through this difficult time. Our thoughts and prayers are with you and the family. I send my deepest condolences for your loss of your two boys. I have great memories of high school football, FFA and 4-H with all of their shenanigans 😉 I pray for peace and comfort of your family. I am so very sorry for your tragic loss. I can only pray that the Lord and your family can be of comfort to you at this time. I so enjoyed seeing your boys whenever they would stop by.They will always be remembered with great fondness . My love to your whole family. We are thinking of all of your family and praying God helps you get through this time of grief. May you feel His loving arms holding you up in the days to come! We are praying for you and your family during this difficult time. May you have some understanding and eventually some peace. God bless you Paislee and your family. We are so sorry for your losses. I pray that God gives you the strength to carry on and know that he is with you ALWAYS. Our thoughts and prayers are with you during this difficult time. May God comfort you. Melissa and family- we are so sorry for your tragic loss. Please know our thoughts are with you. Our sincere sympathies to your family in this time of grief for the loss of Eric and Travis. We hope you find comfort in all your memories and knowing that your friends are praying for you and thinking of you. My heart and prayers go out to you and your family. May the memories you have of Travis and Eric bring you some comfort during this difficult time in your life. I can still hear the joy of laughter they brought to my family, especially my brother Dean Short. Our deepest sympathy for your tragic loss. Our prayers are for your entire family. You are in our prayers daily as you go through this difficult time. Our God is with you and is there for your support. It is never easy knowing why these things happened. But we are are there, as is God, for you love and support. Please accept my deepest heartfelt condolences and sympathy for your immeasurable loss. I have many fond memories of both Travis and Eric as we grew up together in Canton. My thoughts and prayers are with your entire family. My dear sweet friends..how much you are already missed..and will always be missed. All the memories we have together will never be forgotten…our thoughts and prayers go out to all the friends and family of these two young men. Vicki I’m so very sorry for your loss you and your family are in my thoughts and prayers. Wishing you peace, peace, peace and more peace. Submitted on 2017/10/25 at 8:58 pm | In reply to Jackie Wilcox. So very sorry for your loss,I won’t say much because of this difficult time, you and your family are my thoughts and prayers! God Bless you all. Terry, Vicky and Melissa, My heart aches for you,I have no words that will heal you through this. Prayer is a good thing, and I have been praying for you to get through this difficult time. If I can do anything to help you please let me know. OUR THOUGHTS AND PRAYERS ARE WITH YOUR FAMILY AT THIS VERY DIFFICULT TIME. Our sincere condolences in this most difficult time. Thinking of you in prayer.